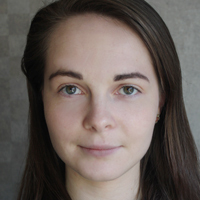 The latest production news round-up includes the Royal Shakespeare Company’s winter season announcement and a new musical inspired by Romeo and Juliet starring The Stage debut award winner Miriam-Teak Lee. Other news includes a West End transfer for Trevor Nunn’s The Fiddler on the Roof and the Arcola Theatre in London’s latest season. A musical adaptation of David Walliams novel The Boy in the Dress is to form part of the Royal Shakespeare Company‘s new season. The production has music and lyrics by Robbie Williams and Guy Chambers and a book by Mark Ravenhill and is directed by Gregory Doran. Other highlights include Shakespeare’s King John, directed by Eleanor Rhode, Hannah Khalil‘s A Museum in Baghdad and The Whip by Juliet Gilkes Romero. 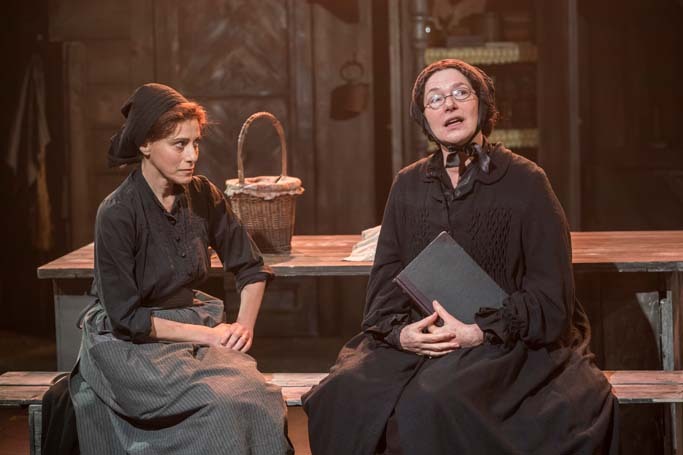 Trevor Nunn’s production of Fiddler on the Roof, currently running at the Menier Chocolate Factory in London, has announced a West End transfer and will play at the Playhouse Theatre from March 21. Press night will be on March 27 and it is scheduled to play until June 15. Kacey Ainsworth will play Mrs Lovett in Sweeney Todd at the Liverpool Everyman. She will star alongside the previously announced Liam Tobin as the title character. The musical runs from April 12 to May 18. Controversial production Jerry Springer – the Opera is being revived at the Hope Mill Theatre in Manchester, 15 years since it last played in the UK. It runs at the venue from August 8 to August 31, with a press night on August 13. Miriam-Teak Lee is to star in a new musical about Juliet from Shakespeare’s play Romeo and Juliet, that will feature pop songs including Britney Spears’ …Baby One More Time. Entitled & Juliet, the show will run at Manchester Opera House from September 10, before moving to the Shaftesbury Theatre on November 2, with a press night on November 20. Full casting has been announced for musical In the Willows, which opens at Exeter’s Northcott Theatre on February 22. It then tours to locations including Coventry, Oxford, York, Wimbledon, and Bristol, where it runs until June 1. Richard Eyre will direct a revival of The Bay at Nice at the Menier Chocolate Factory, starring Penelope Wilton. Wilton will star in the play, alongside a cast that also includes Martin Hutson, Ophelia Lovibond and David Rintoul. It runs from March 14 to May 4, with press night on March 19. Liverpool’s Royal Court has announced the first production for 2019 as Yellow Breck Road, which is a comedy about a family living in Anfield. All About Eve, starring Gillian Anderson and Lily James, will be broadcast live to cinemas during its West End run. The thriller, which begins previews on February 2, will be screened from the Noel Coward Theatre via National Theatre Live on April 11. Giles Terera has pulled out of the Old Vic’s forthcoming production of The American Clock citing personal reasons, with Clarke Peters replacing him. The production of play will run from February 4, with press night on February 13. Peters will stay with the show until March 2, with Sule Rimi joining the show from March 4. Mark Gatiss is to voice a talking computer in the world premiere of Dark Sublime, which runs at Trafalgar Studios from June 25 to August 3. Andy de la Tour is to star in My Brother’s Keeper at the Playground Theatre in London. The production runs from February 26 to March 23, with press night on February 28. Nuffield Southampton Theatres has launched a new season by local artists called Make It SO from February 18 to April 6. Highlights include two brand new musicals Obella and Big Mouse Strikes Again, a new play about the pioneering Southampton-based engineer Tilly Schilling in Tilly and the Spitfires, a new take on Virginia Woolf’s groundbreaking novel Orlando and a new show for families celebrating the story of the Hampshire Renegade Girls. Joseph Millson will star in a new comedy by Patrick Marmion, inspired by Moliere. Keith? A Comedy, runs at the Arcola Theatre in east London from February 13 to March 9, with press night on February 18. The cast also includes Mark Jax, Natalie Klamar, Aki Omoshaybi, Sara Powell and Lizzie Winkler. The Amber Trap, about couple Katie and Hope who work in a corner shop, is to have its world premiere at Theatre503 in London. It runs from April 24 to May 18, with press night on May 29. Producer China Plate has announced its 2019 season, which includes Romeo and Juliet – Mad Blood Stirring; an immersive re-imagining of Shakespeare’s play for children aged nine to 13 that will tour the UK from February 1 to March 23. Other highlights include a UK tour of Chris Thorpe‘s play The Shape of Pain, which explores director Rachel Bagshaw’s experience of living with Complex Regional Pain Syndrome, as well as the return of China Plate and Warwick Arts Centre’s biennial First Bite festival, which runs on March 2 and 22 Mar and Apr 5. Ute Lemper, who originated the role of Velma Kelly in the London production of Chicago, will bring her one-woman show to the UK for a limited run in May. Her show, Rendezvous with Marlene, celebrates the life and work of Marlene Dietrich and will play its only London dates at the Arcola Theatre in Dalston. It runs from May 14 to 19. A new season of one-off events with theatre stars including Judi Dench, Patti LuPone and Derek Jacobi, called Sunday Encounters at the Haymarket, has launched at the Haymarket Theatre in London. Other industry figures who will feature include Carlos Acosta and Kerry Ellis, with the season of events running from March 10 to June 9.